This extensive and exquisitely furnished building available office space located on the street-accessible main level. Central Surrey is a fast growing area with many new businesses moving to the area and it is exciting to be able to encourage growth with this short and long-term office rental. This center included: administrative support, break lounge, copy and print stations, flexible terms and furnished office space. Spacious and full of natural daylight, these recent-build offices to rent come furnished and are available for immediate occupancy. Inclusive of modern, well-equipped conference rooms, high speed internet and personal reception services. Peninsula Village, King George Highway, Highway 99 and various public transport links are conveniently located nearby. Located in south Surrey, this brand new business centre provides private furnished office space on flexible lease terms. Large windows provide great mountain views while there is also a state-of-the-art 10-person meeting room available. The regional transport links are also fantastic and offer excellent services, including a range of connections in operation across extensive road and rail networks. The thriving, exciting and vibrant Fraser Valley business hub is set directly within the very heart of South Surrey in is situated within an area full of great local services and amenities including coffee shops and fantastic gourmet restaurants. With open-plan office space and fully flexible private executive suites, this fantastic quality and great value business centre also includes a business lounge and meeting rooms. This center is centrally located near many restaurants, banks, and everyday activities. Grab a coffee at Starbuck's before a long day or on break. Stop on your break at one of the convenient shops or restaurants. This center offers professional, private office space rentals and solutions. With amenities like no other, this center can provide all of your business needs. Stop in today and check out this center. 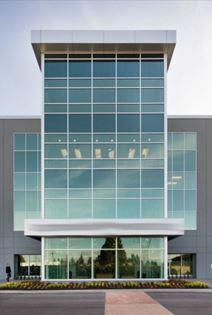 Located in one of Canada's fastest growing and most commercially focused cities, Surrey, British Columbia; this multi-use and highly prestigious community site is a highly desirable workspace that provides a range of co-working, executive suites and open-plan office space solutions and is highly renowned locally as the region's primary co-working destination. The area's transport links are also excellent and offer convenient services throughout the immediate area.